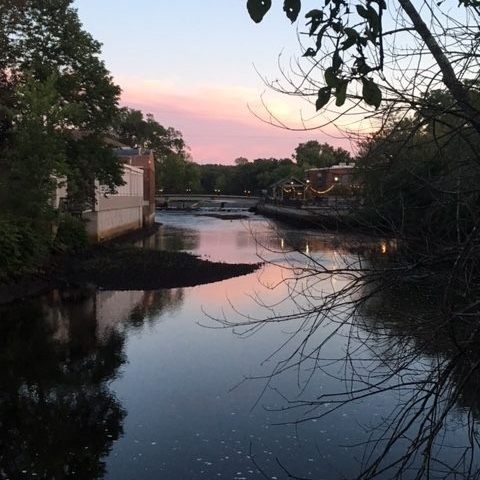 Welcome to Elephant Tree Yoga studio, a peaceful yoga oasis on the Ipswich River in downtown Ipswich, Mass. We specialize in hot Power Yoga, and also offer Yin Yoga, Yoga Nidra, meditation and more. Our classes are geared to all levels. Whether you are brand new to yoga or a seasoned practitioner, we welcome you. All Elephant Tree Yoga teachers are certified, knowledgeable, dynamic, and compassionate. You will feel cared for in their hands. Come as you are. We look forward to sharing our practice with you. Elephant Tree Yoga studio is inspired by and dedicated to Tricia Philpott’s sister Kathy and her Dad. Both passed too soon and if they had the practices of yoga and mediation could have lived happier and healthier lives. Yoga frees the mind, enlivens the body, and empowers you!